Nice report, Hayo. It's good to read that the ISO performance of D800 is not an issue (as many people assume). Now it's time to start saving money. The true power of the D4 and D800 can of course only be judged when they are officially available. But, indeed, from what I've seen so far myself is that noise is not going to be a problem with these cameras. I was wondering if the 800E could get in trouble with macro of insects. I tend to go to more then 1:1 magnification (lenses back to back) and facet eyes are like patterns. What about wildlife: 'close-up' of fur can look like a pattern too. I don't think macro shots of insects or other things with a supposedly repeating pattern (e.g., feathers) are going to be a big problem for the D800E; though the patterns may seem regular to us, it is very unlikely they are precisely and mathematically regular. A slight irregularity is already enough to not cause any moiré, so we should be fine here. Thank you for the fine report. 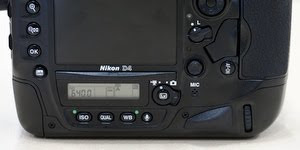 I have a question: I called Nikon USA to ask specifically about the capability of the D4 to shoot with lenses down to F8. This would allow me to use the 2X teleconverter that I have wih the 200-400 lens without having to accept that the combination does not focus about half the time now. I asked Nikon if the D800 would have that same focusing capability. The rep checked and told me that the D800 would NOT have that capability. Do you know the answer to this? Thanks very much. Thanks for the feedback. Strange Nikon USA doesn't seem to know their own product… The D4 and D800 share the exact same 3500FX AF module and would therefore have the same ability as to fully supporting lenses up to f/8. So yes, you would definitely be able to use a 2X teleconverter on your 200-400 and still have the full (predictive) AF at your disposal (albeit for 11 of the 51 sensors). Note: I would advice to use the new TC-20E III for this, and not an older model; the optical quality of the new TC-20E III is really much better then the old ones. Many thanks, Hayo. I do have the TC-20EIII. When I can encourage it to focus, it produces very sharp images. :-) Unfortunately, this is not the only time that Nikon USA has given me incorrect info. first of all, great review, thank you very much. Actually the buffer doesn't seem to be too bad at all. According to Nikon “it holds more frames than the D700”, but I have not yet seen the official numbers for the buffer size. From other well-informed sources, I conclude the buffer size is between 16 for 14-bit uncompressed NEF and 21 for 12-bit lossless compressed NEF, both at full 36MP FX. Only slightly worse than the D700 and similar to what you have on a D3. Not bad at all! With such a high pixel count, I just don't understand how the D800 can be any good in low light! It is indeed quite amazing how they have pulled-off this high quality at high ISO/low light. I was quite surprised to see such low amounts of noise, even at the higher ISOs. It's a real pity I was not able to take some test pictures with me and analyse the at the computer; now I only had the LCD of the camera and some of the samples they showed on the beamer. I have seen tests on the internet comparing the D800 with the D700, which it beats easily. There wasn't any info on how they performed their tests though, so it's hard to be conclusive about this. It sure looks promising though! Hi James, you're totally right of course. Personally I have sometimes found 9fps too slow (composition-wise I would have liked an intermediate shot better perhaps; better leg/wing formation for instance). On the other hand, I still shoot with the D200 too, and that gives me only 5 fps, slower than the 6fps in DX crop of the D800 (with the right battery). So it goes to show you can get good (wildlife) results even with slower framerates (but as said, I'd prefer the higher count for wildlife if I'd have the choice). I do a lot of night work with long exposures at low ISO. One of the problems with the digital sensors is that they "fill-up" with light which reduces the amount of time you can expose per shot. With the smaller sensors on the D800(E), I am curious if you think that the exposure times at night will be less because of the smaller sensors? What exactly do you mean with they “fill-up with light”? Do you mean those sensor “pixels” are (overly) bright spots in the scene (certainly compared to the rest of the almost dark scene), and therefore become (severely) over-exposed after a longer exposure, thereby causing problems because the excess photons “spill over” to neighbouring pixels? If this is what you meant, then my guess would be that max time would be similar if not the same; though the pixels are smaller there would be a proportionally smaller number of photons to fill them as well, so this would all even out. Of course the new design of the pixels may actually be an advantage or disadvantage to this, so without some real testing it will be hard to say exactly what will be the case. Your reference "excess photons "spill over" is exactly what I mean, but articulated more succinctly. I used to have a lot of problems with my D200 where I would get purple fringing on the images if exposed too long. The D300 & D700 were better in this regard. I am hoping that it will all "even out"! I hope someone will do some long exposure testing once they start shipping. D800 is perfect for what I shoot. I shoot slow and well thought out images. Wish they had sent me one to test for them...Thanks for the informative post. Which Canon beats the D3s in low-noise shots at high ISO? From everything I have seen, the 3Ds is king. In the currently available line-up of both Canon and Nikon (or any other brand for that matter), nothing beats the low noise at high ISO of the D3s. 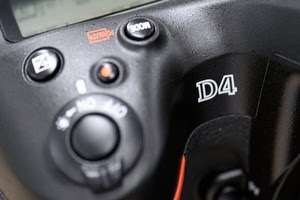 The D4 is even better and I expect it to beat the new Canon EOS-1D X still, I haven't been able to do a side by side comparison, nor seen one, to be sure about that yet though. Nice Giveback to community Hayo! D800 is promising, If I understand correct D800 is going to have better IQ/sharp images compared to D4 for studio shoots or daytime photos (small pixels collect finer details)? Also since in DX mode D800 gave 15MP image, it should be having better IQ/sharp images compared to D300S or D7000, and obviously better faster focus, so one camera gave dx zoom when must needed otherwise FX as usual, what do you say? Hi Prakash, Both D800 cameras indeed capture (much) more detail than the D4 (with the right lens and shooting technique that is). As there are more (and better) pixels available, even in DX mode, than the D300S has, IQ will be better. The D7000 has slightly more pixels than the D800 in DX crop, but I still expect the D800 to have a slight edge here (especially the D800E). Also due to better/faster AF. So in that sense, the D800 can indeed give you two cameras in one: a great DX camera with enough pixels and quality to suit almost every need, and an FX camera with (yet) unbeatable detail and resolution. Thanks for the great write up! I'm curious... you mentioned that the D800 handles noise well at 6400, would you say it's the same, better, or not as good as the D3s? Also, how does it render skin tones, vibrance, contrast etc at the higher ISO's? 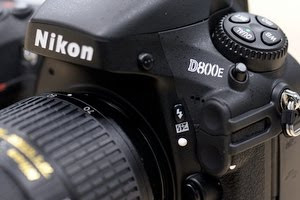 Viewed at 100% the images of the D800 will have more visible noise than the D3s. However, when taking into consideration the much higher resolution of the D800 (i.e., match resolution when comparing images), you will likely find they are indeed comparable. There may even be slight edge for the D800E here as there you wouldn't need to capture sharpen the image (or at least not as much) to get sharp looking results. Sharpening exaggerates noise, so the less sharpening necessary, the less problematic the noise will be. However, with all this, please be aware that as I was not allowed to take any images home with me, I have not been able to do a real side by side comparison of the (raw) images on a computer. The validity of these statements is therefore yet to be confirmed in further testing with real production cameras. From information from other sites/testers as well as my own impressions from handling the cameras, I would say skin tones and contrast are rendered very very well, even better than with the previous models (and with a slight edge to the D800E in the contrast department). Colours are rendered nice as well, certainly the same as with previous cameras. Excellent Blog with tons of information, THANK YOU. 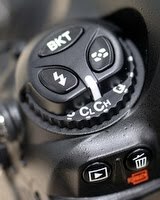 My question is long Exposure time on the D800/E, would the massive amount of Pixels slow the writing significantly ? Would color artifact be more significant ? Hi HM, thanks and you're welcome! Uncompressed 14-bit raw files weigh about 75MB each and writing that amount of data does take time. It definitely pays to use a very fast memory card with the D800 in this respect. On the other hand, the buffer of the D800 is quite big (between 16 and 21 shots depending on raw format chosen) and as it is not really meant for fast shooting, I don't think even a slower card will be too slow and prevent taking your next shot. I you use lossless compressed raw (which I would recommend), your file size is heavily reduced (±40%) without losing any information. Reducing write times and increasing buffer size. Hi Hayo, I believe Nikon does NOT include Capture NX2 with D800E in any market except some European markets. May I ask if you confirmed this to be true? I've been looking for a confirmation from Nikon, and they seemed to have confirmed that D800E will NOT include Capture NX2 in the US. The Nikon (NL) rep I spoke to said Capture NX2 was definitely included with the D800E. It could be that he only referred to the Dutch/European market and that this is not the case in other markets, but this seems odd to me. I'll verify again to confirm. Anyway, as soon as I know more, I'll post here. I just got the confirmation: Nikon Capture NX2 is indeed shipped with all D800E bodies. Note: NX2 is not included with the D800 (unless the reseller decided to add it as part of a package deal, of course). Wonderful review. I have a rather rudimentary question, but one that I can't seem to find the answer to: when you shoot with the D800 in DX mode, can you use a DX lens with it, or do you still have to use a full-frame lens since it's a full-frame camera? You can use your DX lenses just fine with the D800. In fact you are not even restricted to using the DX crop mode (which still is 16MP by the way) with these lenses! Most DX lenses will, however, vignette heavily in non DX mode. But it can still be useful to do so. For instance, I sometimes use the 10.5 DX fish-eye on my D3 in FX mode as this gives a nice circular view – once you remove the built-in lens hood from this lens (which I haven't done yet myself though). Other lenses are even fully usable, from a certain focal length. A good example is the 17-55/2.8 which is fully usable from 26mm onwards. This is a nice collection with some hidden gems with appeal beyond photographers.Photography Website Templates .its really good layout design for my photography site.